In order to make the Monka Hotel blend into its surroundings, its design is deliberately ambiguous, on the border between traditional architecture and more modern styles. The facade features grey concrete, the large windows of different sizes have black frames to give the building a calm exterior. The lobby is fitted with unadulterated materials. 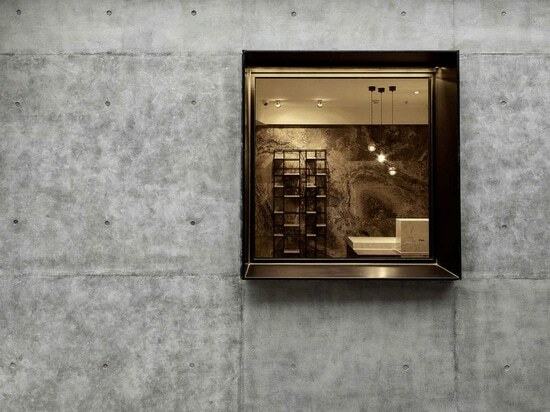 A wall clad with original ancient cave stones goes with the concrete floor and the wooden partition. 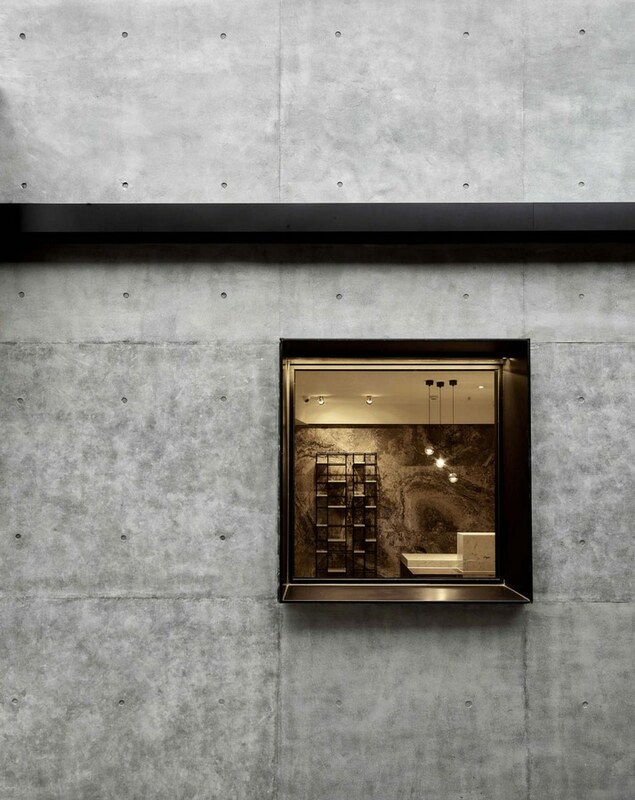 The stairs have an open construction which allows them to reflect the light from outside. With its calm design that contains both traditional and modern architectural elements, the Monka Hotel blends well into its surroundings.